We provide comprehensive support services for your WordPress website. From small business sites to large enterprise multisites that receive millions of visitors per month. We do it all. Update WP core, update plugins, security patching, backups, uptime monitoring, etc. Sign up for any of our WordPress Support Plans and get a complimentary site review. 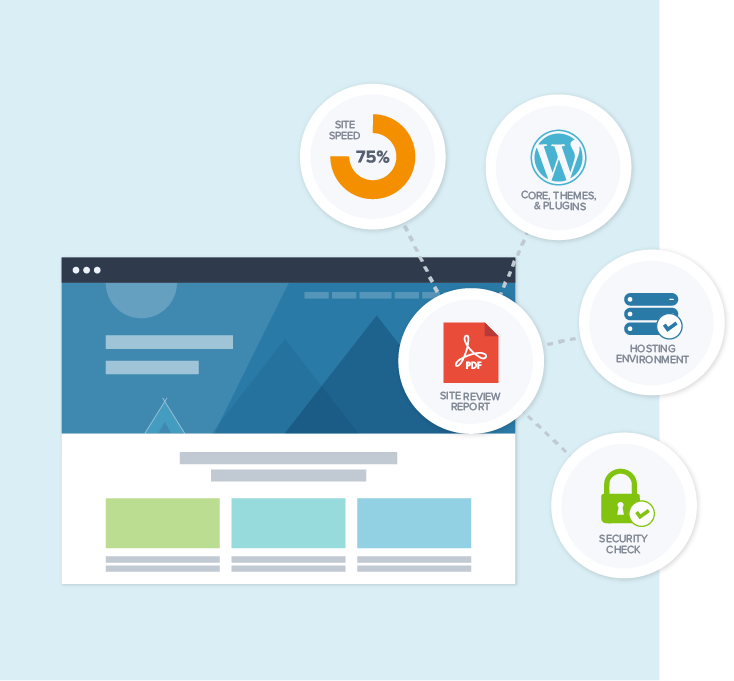 Our reviews include an inspection of your site’s hosting environment, a security scan, a performance check, and a review of installed plugins and themes. We provide you with a report with actionable recommendations to improve your site’s reliability and performance. 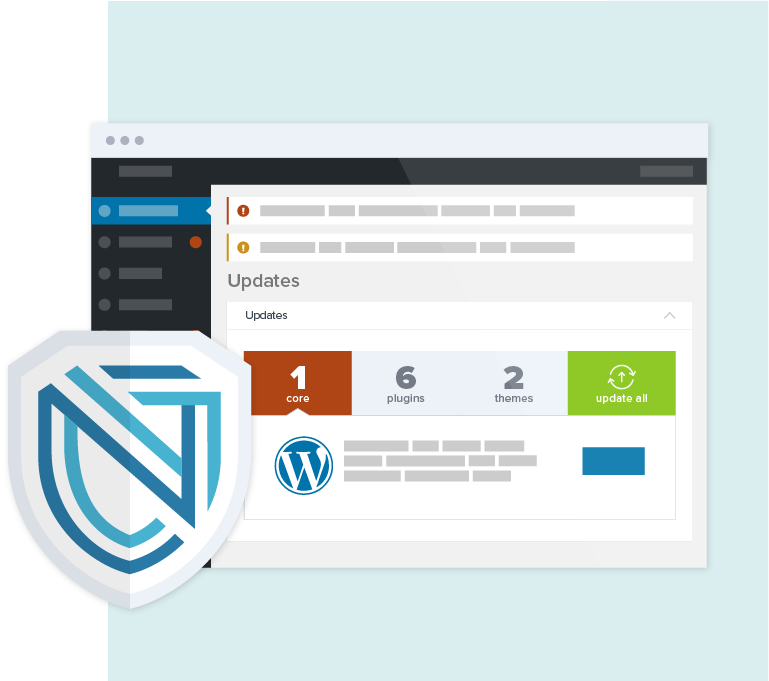 WordPress software updates are performed promptly and checked in realtime for compatibility. Our team tests all plugins and updates prior to installation helping you avoid frustrating kinks and wrinkles. We’ll know if your site skips a beat. We proactively monitor your site 24/7 and react swiftly to resolve any issues that appear. NeatlyPressed monitors your sites for malware and hacks daily using the industry leader, Sucuri. In the event of a security issue, we provide cleanup services on all plans. We perform full, daily backups so you don’t lose your website or content. We believe in a good insurance policy for those just-in-case scenarios. We routinely evaluate site performance and perform ongoing adjustments to maximize the speed and reliability of your site. LIMITED TIME OFFER: Free Site Review! NeatlyPressed is owned by Materiell, a respected leader in WordPress development since 2011. Materiell has designed and developed WordPress websites for enterprise, government, and education clients throughout the U.S. We recognized our client’s needs for maintenance and support services and NeatlyPressed was born!